Eric Bailly has become disillusioned with life at Manchester United and its hard not to feel sorry for the player. Bailly has seen little game time this season and has not featured for full 90 minutes since United lost to Brighton back in August. When the Ivorian joined the Red Devils from Villarreal two summers ago, many believed, at the time that United has invested wrongly. Mateo Musacchio was considered a better option, though Bailly had obvious potential. He was Mourinho’s first signing at United and now his stay could be cut short as speculation is now rife of a possible exit come January. Bailly proved all naysayers wrong immediately following his arrival and of the four players Jose Mourinho bought that summer, Bailly was arguably the most reliable. Although Zlatan Ibrahimovic was good at getting the goals, he was also good at losing the ball at key moments. Paul Pogba, despite his obvious talent, had his status as the world’s most expensive player weighing him down and Henrikh Mkhitaryan’s confidence was already at breaking point. Like him, other players in his position at the Theatre of Dreams have their own set of challenges, but his talent stands him out from the pack. Bailly’s technical ability is top notch, he is able to waltz past most opposing forwards with the ease of a creative midfielder and his cool composure under pressure makes him the best defender at Old Trafford at the moment. His game is disciplined and most importantly, Bailly possesses in abundance what Smalling does not – the confidence to play the ball through the centre of the park directly to his midfielders. 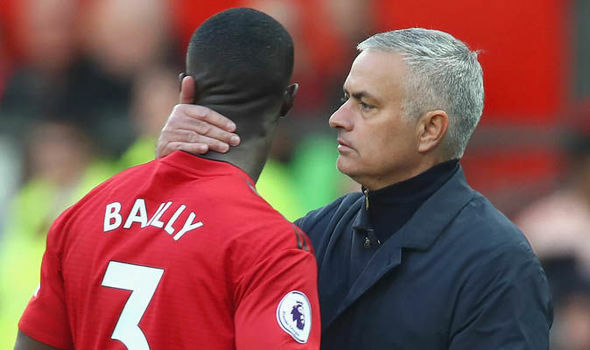 Mourinho needs to use this vital asset more often, after all, the Portuguese Manager has so far failed to find anyone better than Bailly, and so he must once again consider him to see his squad regain their position in the top six. Mourinho does not have the likes of Jose Gimenez at his beck and call, but he has Bailly who could prove integral to their chances of success this season.